We connect students to the world through arranging a number of Study Tours every year. Students will benefit from the journeys by knowing more about the culture, educational system, local people, technological advancement of destination. All these experiences could not be perceived by just reading textbooks/ readings! 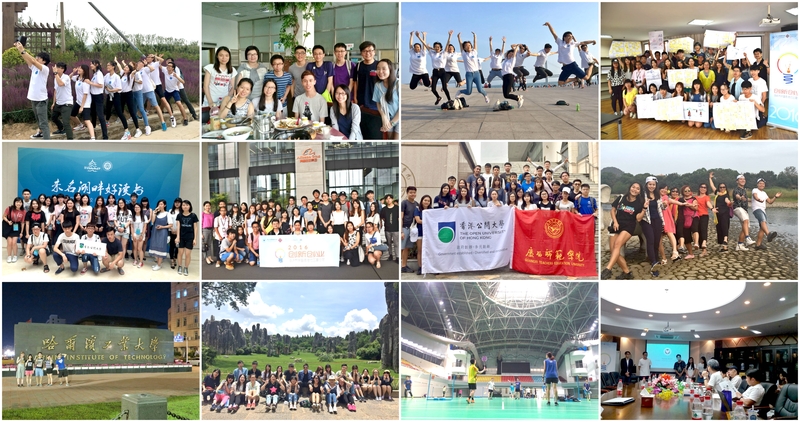 During summer holidays and winter breaks, we would organize various cultural and educational exchange activities with Mainland universities. The normal duration of these mainland exchange tours are from 5 days to 14 days. Please click here for activities held in 2016. For all these tours supported by the Mainland Ministry of Education, students are only required to pay for the travelling expenses and insurance. All costs after landing on the designated Mainland city will be borne by the mainland organizer. In 2017, there will be a fund available to support student expenses in these tours. Please stay tuned for our announcement in January/ February 2017. Throughout the year, we receive various invitations from the Government/ external organizations for offshore study tours. Destinations include Japan, Dalian, Tianjin etc. In these tours, students are able to meet more new friends from other universities and overseas institutions. The University has a group personal accident insurance policy for all students participating in university or student activities.